Matthew Labyorteaux has been designated with different titles for his works and contributions in the entertainment industry but he is best known as an actor and a voice actor who has a lot of notable works to his credit. He is mostly remembered for his role in the popular series, Little House on the Prairie where he played the character of Albert Quinn Ingalls for several years. While this was not his first TV role, the series was more of a breakthrough for the versatile actor. Here are interesting facts about the actor and his success story. Matthew Labyorteaux, who was born in Los Angeles, California on the 8th of December, 1966, was always inclined to entertainment. As a result, Matthew started at a very young age to make significant moves towards achieving his dreams. At the tender age of seven, he was already appearing in commercials. Labyorteaux has proved his versatility by working on different platforms of entertainment. He has lent his voice to many animations and games and has appeared in many TV and film roles which earned him a prestigious position in the competitive entertainment industry. Before we get to his work credits for films and series, let us dwell on the impact he has made as a voice actor. Not only did he voice a character in the popular animated film Mulan, but the Hack video game series featured Matthew’s voice as one of its characters. The voice actor worked with the Hack enterprise for a whole year (2003 to 2004) before voicing the character Jaden Yuki in Yu-Gi-Oh! GX. He then went on to work with the Winx Club kids series where he lent his voice for a character. More video games followed after this and Matthew only took his voice roles as something he enjoyed doing rather than work. Some of the games include Bride Wars, Kinect Star Wars, Star Wars: The Old Republic, and many others. Matthew has also done a lot of voice-over on advert campaigns for different brands. 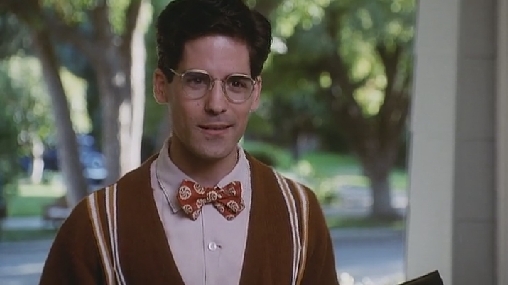 From commercials, Matthew Labyorteaux gradually moved to films and made his debut in the drama, A Woman Under the Influence. Afterward, he landed roles in several TV series including, The Practice, The Rookies, The Bob Newhart Show, and many others. He starred in The Red Hand Gang, another series in 1977. That same year, he also appeared in Mary Hartman, Mary Hartman. Gaining more grounds in the entertainment industry, he got more movie roles and did not hesitate to grab the opportunities. Matthew soon landed a role in Little House on the Prairie. Playing the character of Albert Ingalls; he received a lot of positive reviews for his portrayal of the character leading to more roles. He became quite popular after featuring in the series from 1978 to 1983. He first appeared as the younger version of the lead character Charles Ingalls in 1976, before coming back as an adopted son (Albert) of the same character in the show’s fifth season in 1978. The series was indeed regarded as his breakthrough role by critics. The talented actor went on to star in the series Whiz Kids where he played the role of Richie Adler and was expectedly quite remarkable. Although he is not as active as before, he occasionally still makes appearances on the screen. He has also been seen on several reunions of Little House on Priaire cast. Matthew Labyorteaux was not raised by his biological parents; he was adopted as a baby by Ronald Labyorteaux, a talent agent and his wife Frances Marshall, an actress. Before Matthew, the couple also adopted Patrick Labyorteaux. The adopted Labyorteaux children definitely imbibed the showbiz ways of their parents and made successful careers out of it. As a child, Matthew suffered many challenges. First, he was diagnosed with a hole in the heart at birth. He miraculously survived the defect although he never spoke until he was 5 years. More so, young Matthew did not walk until he was 3 years. What’s more, he was also diagnosed with autism. No one, including his parents and medical practitioners, believed he would ever become a successful actor. But against all odds, Matthew Labyorteaux worked his way to success with determination. His brother, Patrick, who is also an actor, started to appear on the screen at a very young age. As a matter of fact, it was after Matthew accompanied Patrick to an audition that he was noticed and also got invited to the audition. Matthew’s success in the audition and a few others that followed was what landed him a role in his debut drama, A Woman Under the Influence.